I have this burning desire for shawl anything. Some of the recent posts reflect this need. 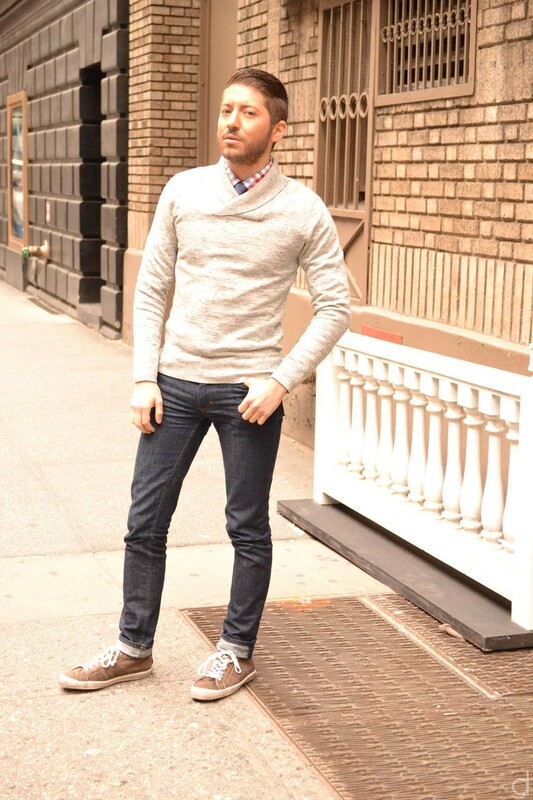 It’s a classic look take an ordinary sweater and kicks it up. I also decided to set aside my bow tie and opt for a skinny tie. I’m not one to wear solid tie but I thought this look called for it. With lots of details, a solid tie was needed to balance the look. I’m with you on the shawl collar addiction! I think it automatically makes any sweater look that much better. Was that a recent buy from H&M? I don’t go there too often, but I might have to go scope that sweater out, it’s just that sharp.